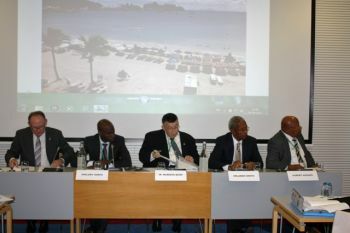 ROAD TOWN, Tortola, VI– Representing the Territory’s interests at the Overseas Countries and Territories Association (OCTA) Ministerial Conference, Premier Dr. the Honourable D. Orlando Smith, OBE, said the event was a success in strengthening the BVI’s relationship with the European Union (EU) and other Overseas Countries (OCTs). The conference, held on September 25, took place in Ilulissat, Greenland. Premier Smith joined the leaders of 25 other OCTs to discuss green growth and the revision of the EU’s Overseas Association Decision (OAD) that governs the relationship between the EU and OCTs. Following a panel discussion on Green Growth in Tourism and Financial Services, Premier Smith vigorously debated and then signed OCTA’s Political Declaration that was presented to the European Commission by the OCTA Chairman, Premier Kuupik Kleist of Greenland on behalf of all OCTs. Additionally, Honourable Smith signed the OCTA Administrative Resolution where the VI was unanimously re-elected the vice president of the organisation and also elected vice chairman. As vice chairman, the VI will assume OCTA’s chairmanship at the conclusion of the OCTA Ministerial Conference in Brussels in 2013. 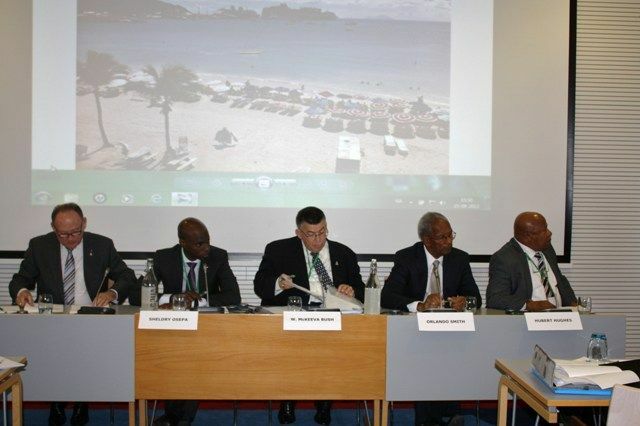 The VI will also host the 13th OCT-EU Forum in the Territory in 2014. Following Premier Smith’s speech on the economic and environmental sustainability in the BVI, he then answered a series of questions on the challenges facing OCTs with services-based economies during the question and answer segment. The Premier also heard reports from the Executive Committee of OCTA, including a Financial Services Partnership Working Party (PWP) report delivered by Director of the BVI London Office Mr. Kedrick Malone, who Co-Chairs the PWP alongside the EU on behalf of the VI. Premier Smith remains in Greenland for the 11th OCT-EU Forum that ends today. 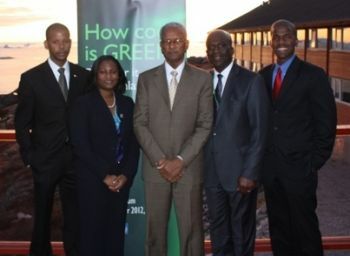 In addition to Mr. Malone, the Premier is accompanied by Financial Secretary Mr. Neil Smith, Assistant Secretary in the Premier’s Office Mrs. Elvia Smith-Maduro and Senior Political/Public Affairs Officer Mr. Benito Wheatley.